The Harriet Tubman Collection in the Mary Van Sickle Wait History Discovery Center at Seymour Library includes books, magazines, newspaper clippings, photographs and documents. Most of the collection is the result of the work of the late Ellen Jean Mahoney, a library employee who worked for years to compile copies of stories, articles, photographs and documents about Tubman. Although no original, primary source material is included in the collection, it provides a wide variety of information in a single location. The library also has an extensive collection of books on Harriet Tubman, ranging from children’s books to scholarly biographies. All of the materials are available for in-house use only, however, some of the titles are available elsewhere in the library and may be borrowed. Copies of stories, magazine articles, newspaper articles, photographs and other documents. All of the materials are copies, not original or primary source material. Bound for the Promised Land, Harriet Tubman, Portrait of an American Hero. Larson, Kate Clifford. A Woman Called Moses, A Novel. Heidish, Marcy. 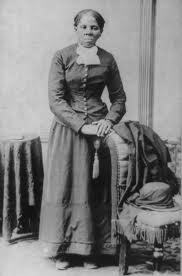 General Harriet Tubman. Conrad, Earl. Harriet Tubman, A Biography by Earl Conrad. Conrad, Earl. Harriet Tubman: Imagining a Life. Lowry, Beverly. Harriet Tubman, The Life and the Life Stories. Humez, Jean M.
Harriet Tubman, Myth, Memory and History. Sernett, Milton C.
Harriet Tubman, The Road to Freedom. Clinton, Catherine. Uncovering the Freedom Trail in Auburn and Cayuga County, New York. Cultural Resources Survey sponsored by the City of Auburn Historic Resources Review Board and Cayuga County Historian’s Office, funded by Preserve New York. An Apple for Harriet Tubman. Turner, Glennette Tilley. Fleeing to Freedom on the Underground Railroad. Landau, Elaine. Go Free or Die, A Story about Harriet Tubman. Ferris, Jeri. Harriet Tubman and the Underground Railroad. Abnett, Dan. Harriet Tubman and the Underground Railroad. Adler, David A.
Harriet Tubman and the Underground Railroad. Slavicek, Louise Chipley. Harriet Tubman, Secret Agent. Allen, Thomas B.
Harriet Tubman. Sawyer, Kem Knapp. Harriet Tubman. Wheeler, Jill C.
Harriet Tubman: A Photo-Illustrated Biography. McLoone, Margo. Harriet Tubman: Black Liberator. Klingel, Cynthia Fitterer. Harriet Tubman: Freedom’s Trailblazer. Kudlinski, Kathleen. Harriet Tubman: Leading the Way to Freedom. Calkhoven, Laurie. Harriet Tubman: The Life of an African-American Abolitionist. Shone, Rob. Harriet Tubman, The Road to Freedom. Bains, Rae. Harriet Tubman: They Called Me Moses. Meyer, Linda D.
Harriet: The Moses of Her People. Bradford, Sarah Elizabeth Hopkins. Minty, A Story of Young Harriet Tubman. Schroeder, Alan, and Jerry Pickney. Moses: When Harriet Tubman Led Her People to Freedom. Weatherford, Carole Boston. A Picture Book of Harriet Tubman. Adler, David. The Railroad to Freedom. Swift, Hildegarde. Runaway Slave: The Story of Harriet Tubman. McGovern, Ann. The Value of Helping: The Story of Harriet Tubman. Johnson, Ann Donegan. “Escape from Slavery, Underground Railroad” (Harriet Tubman is covered in this article, with photos) National Geographic, Vol. 168, No. 1, July 1984. “Harriet Tubman, Journal.” James A. McGowan, publisher, assorted issues. “This is the Story Harriet Told to the Writer: In Search of Harriet Tubman’s Spiritual Autobiography.” A paper presented at the American Studies Association Conference, Baltimore, Nov. 1, 1991, Jean M. Humez, Women’s Studies Program, University of Mass./Boston. “The Saga of Harriet Tubman, the Moses of her People.” Gold Legacy History Magazine. “Auburn’s Fort Hill Cemetery, Images of America, Chapter Nine, Aunt Harriet.” Lydia J. Rosell. “Harriet Tubman.” Mini-play. RIM, Classroom Plays. Who was Aunt Harriet? View our portrait of Harriet Tubman and read her life story which inspired the artist, Ken Wilson. Visit Following the Freedom Trail in Auburn and Cayuga County to find information on tours and relating to the Underground Railroad, abolitionism, and African American life in Auburn and Cayuga County.